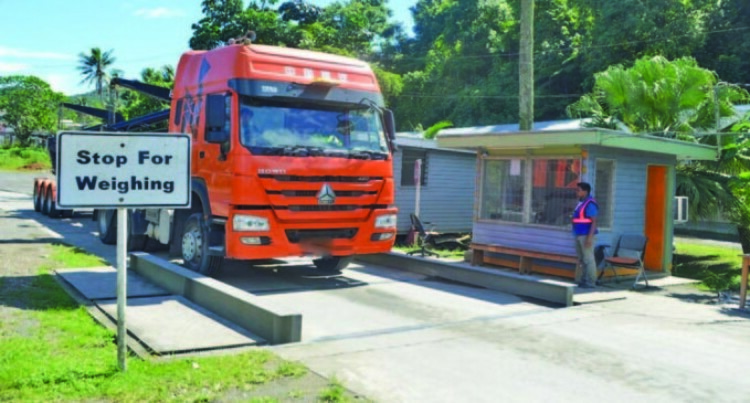 Truck overloading will be monitored by Land Transport Authority. Overloaded trucks or buses will be fined, says the Land Transport Authority. In a statement yesterday, the authority said that some people tend to overload their trucks in an attempt to save costs. “Loading a truck beyond its capacity can have consequences,” it said in a press statement. It further stated that penalties for operating an overloaded vehicle are severe and represent a deterrent to haulage operators who may be tempted to engage in the overloading. Whether you are a driver of a company vehicle that is being operated in an overloaded condition or if you are the operator, LTA says both have the responsibility to ensure that the vehicles are never overloaded. Drivers of company vehicles must inform their employers of Traffic Infringement Notices (TIN) issued for any reason as soon as practicable after the event. For operators, the failure of drivers to notify the company of any TIN that was issued does not absolve the company from their responsibility to pay any and all outstanding TIN’s incurred by the company vehicles and drivers. Operators and drivers are advised to ensure that the vehicles they use are operating lawfully at all times. LTA will issue TINs to bus drivers and bus companies from today for carrying excess passengers in buses as per the PSV Regulation. E-Ticketing inspection will also be carried out at the same time. For passengers, e-Tickets will be checked to ensure compliance with the regulation. Overloaded buses threaten road safety and are contributing to many of the fatal accidents on Fiji roads. The overloaded bus will not only put the driver at risk but also passengers and other road users. The bus will be less stable, difficult to steer and take longer to stop. Vehicles react differently when the maximum weights which they are designed to carry are exceeded. Overloaded buses can cause the tyres to overheat and wear rapidly which increases the chance of premature, dangerous and expensive failure or blow-outs. The driver’s control and operating space in the overloaded bus are diminished, escalating the danger of an accident. The overloaded bus cannot accelerate as normal – making it difficult to overtake. At night, the headlights of an overloaded bus will tilt up, blinding oncoming drivers to possible debris or obstructions on the roadway. Brakes have to work harder due to ‘the riding of brakes’ and because the bus is heavier due to overloading. Brakes overheat and lose their effectiveness to stop the bus. With overloading, seat belts (where fitted) are often not used as the aim is to pack in as many persons as possible into the bus. The whole suspension system comes under stress and, over time, the weakest point will give way. By overloading the bus, you will incur higher maintenance costs to the vehicle – tyres, brakes, shock absorbers and higher fuel consumption. Insurance cover on overloaded vehicles may be void as overloading is illegal. Remember, LTA enforcement officers will check for overloaded buses and issue TINs to drivers and vehicle owners, resulting in significant financial penalties for both.